One of the biggest FMPs (First World Problems) in life is having your smartphone or tablet run out of juice. Yep, we've all been there and it's really, really annoying, especially as it almost always happens when you need it the most. Thankfully, there are a plethora of products on the market which have come to rescue our modern way of living, but one of the most genius ones I've come across is the Gillan Battery Pouch. Whilst most portable power products look very basic and generic, this baby takes it to a whole new level. And I mean, a Whole New Level! 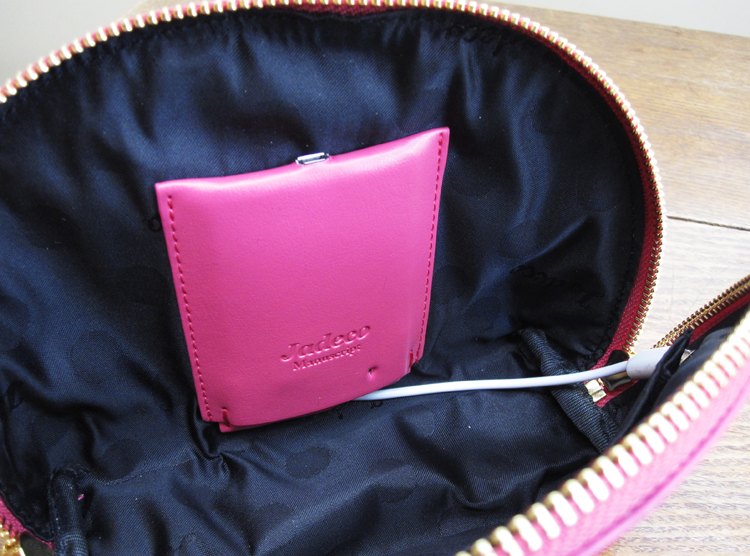 The GBP marries together a beautiful makeup bag with a portable 'power on the go' device for your smartphone or tablet. The pouch itself is made from premium Italian bonded leather (by luxe brand Jadeco) and comes in a wide range of colours and finishes. 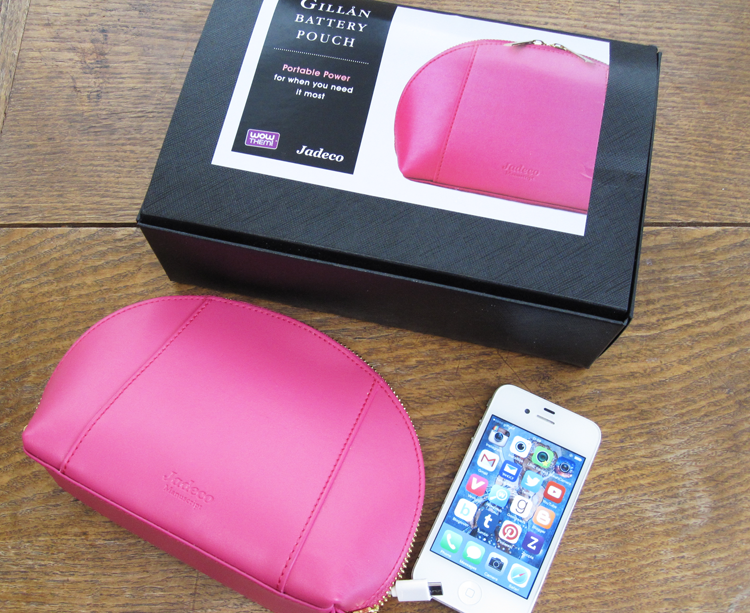 I was kindly sent the Magenta pouch from the Classic Collection for this review and it is just stunning. The leather is amazing quality as you'd expect, and the gold metal hardware is the icing on the cake! The pouch is also a great size for fitting in all of your daily beauty essentials and you could even use it as a clutch for evenings and nights out. Inside the pouch, you have your clever inbuilt 3000mAh Li-Polymer battery that allows you to recharge your smartphone or tablet on the go. It'll work with most major Micro USB devices (e.g Androids, Blackberries, Samsungs, Amazon Kindles etc) and with Apple devices too (see below). You simply plug it in as shown and there's a small flash that shows you that it's recharging. This then stops when your device is fully charged. The battery has a life span of around 500 full recharges. 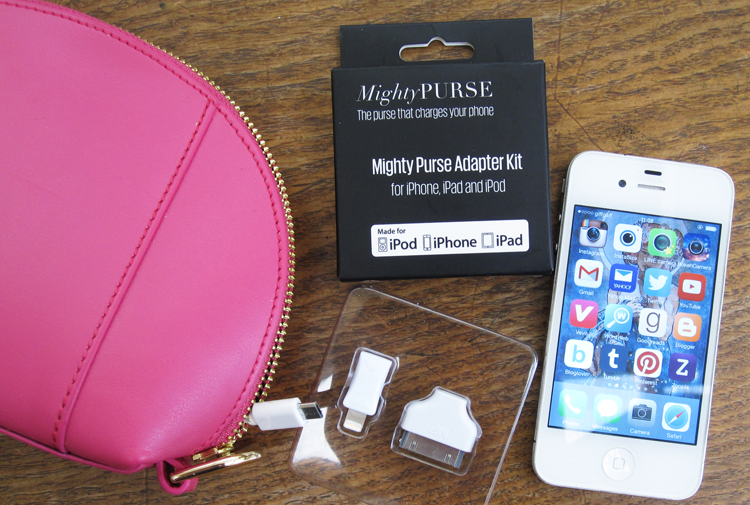 If you want to use the GBP with Apple devices, you'll need a Mighty Purse Adapter Kit as shown above. This is a licensed product that works with iPods, iPhones and iPads - just slip on the adapter and plug it in. Simples! 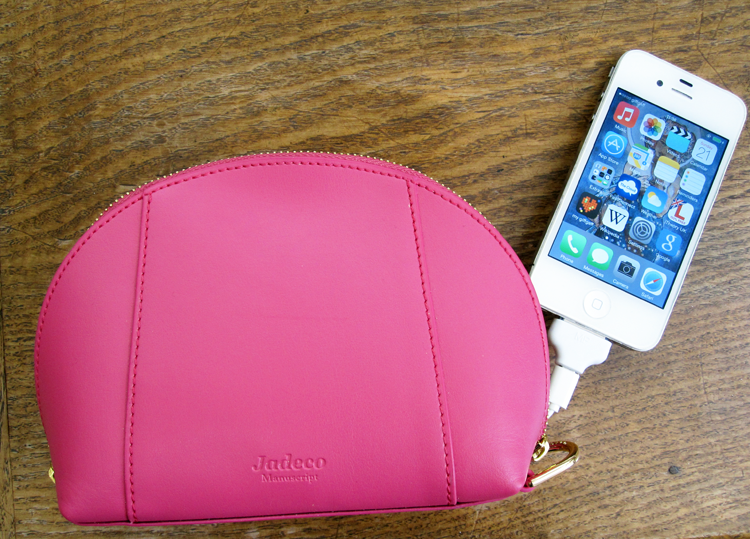 I've received so many admiring compliments from friends and family about my Gillan Battery Pouch and love it to bits. I think it'd make a lovely gift idea too! 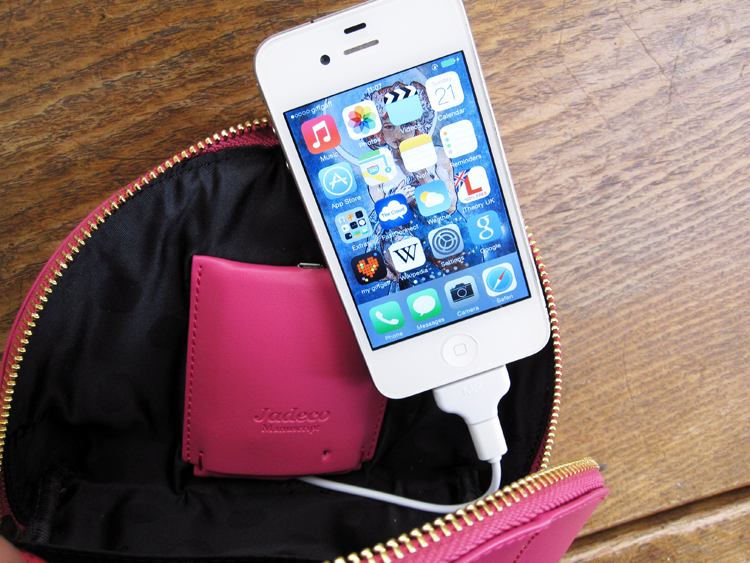 Do you use a power on the go product? What a great little device, and it looks really well-made too. It is, the quality is amazing, very luxurious! Oh wow, that's so neat and it doubles as a regular bag! Love it! And the color! Ahh I just went back to find your review on this after you whipped it our on Saturday! I thought I had already commented...its amazing! I love it!